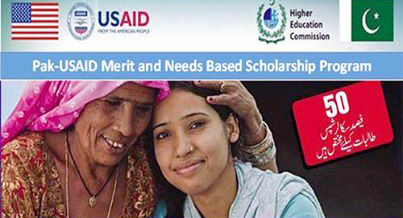 Pak USAID Merit Scholarships is offered by HEC(Higher education commission) in collaboration with the USAID (United states Agency for international development)offering grants at undergraduate and graduate level for those Pakistani students who are not able to continue their studies due to their financial conditions. These grants are awarded on both merits based as well as need-based. The phase I of this scholarship program was initiated in 2004 with 11 host institutions in Pakistan. In 1st phase, the number of scholarships awarded was 1807 out of which 757 were for Undergraduate and 1050 were for graduates. The main pride of this program is that about 94% students completed their degree in the semester during which they are expected to be a graduate. This is the phase II of USAID scholarships program. In this phase, USAID and HEC are collaborating with 29 host institution in Pakistan and they are focusing on providing the opportunities to those candidates who, despite having merit, unable to finance their higher education. This time, the amount of scholarship is not restricted to the tuition fee only but also including the living and housing expenses. Date of 2018 scholarships will be updated soon..! Students need to compete for securing admission in the approved discipline at the participating institution as per admission policy of the institution and be enrolled in Undergraduate (4 and 5) and Graduate (2 Years and 3.5 years) programs. Only those students are awarded the scholarships that are enrolled in the first semester of the respective courses offered by the participating institutions are eligible to apply. The eligibility of a candidate depends on the necessity of the candidate as determined by the economical background of his or her family. Applying for these grants the candidate needs to fill out the application form, either merit based or need based for which he or she is eligible, and submit along with all the supporting documents to the financial aid office in the participating institute. Forms can also be downloading from HEC official website. HEC will not receive any application form regarding this scholarship. Hi my name is karishma. im medical student ,i complet 12th class .i want to doctor but i can’t ifford university fees ..so i need scholarship ..
. i am medical student ,i complete 12th class .i want to become doctor but i can’t afford university fees. tell me how can i get the scholarship? A.o.a i am medical student.i complete my FSc and i want to become a doctor but i can’t afford the university fees so plz tell me how can i get the scholarship?? PAK Usaid not offered scholarship for MBBS. There is such different criteria to offered scholarship for different programs. dear sir, i wana take addmission in m.b.a program ..bcz of financial condition ,i’m not able to take addmission in m.b.a ..how can i get scholarship….? If you want to get scholarship for MBA then you will studied in institutes which is mentioned in the post. Check these institutes which is mentioned in the post and apply for admission in your favourable institutes after that you will apply for scholarships. i am Naveera from Karachi and about to complete my 12th class.After that i want to take admission in IBA for BBA and i can’t afford that so can you help me? If you not afford the fee of IBA Karachi. Than apply for admission in IBA Karachi than avail the facility of PAK USAID Scholarship. PAK USAID recently offered many scholarship to the government institutes. PAK USAID offered scholarship to the needy students in Public Sector Universities. If you apply for admission in Public Universities then you easily get this scholarships. sir i have cleared my fsc recently.so i want to study for my further education but i cannot afford so could i applicable for that? Then you apply for admission in public medical colleges. PAK USAID and HEC Need Base Scholarship help the needy students who study in Public Universities who can’t afford fee. Secondly, when you get admission in Public Universities then also apply for PAK USAID Scholarship. If you study in Public Medical College. Then you will be the beneficiary of PAK-USAID Scholarship. Assalam o alaikum sir my name is masroor ahmed .i complete my FSc and i want to become a doctor but i can’t afford the university fees so plz tell me how can i get the scholarship?? Yes, Masroor if you get admission in Public Medical College then PAK USAID offered you a scholarship. 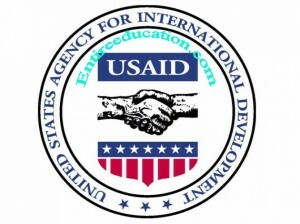 PAK USAID not offered scholarship for Private Medical College. Yes, you get scholarship but Pak USAID offered scholarship for public institutes. If you study in Public institute then you get this scholarship. hello sir .my name is Mubashir zahid i am ist year student of medical .our financial condition are not good …i want to get scolarship.for mbbs abroad.plz helf me i am very thankful to u for this . PAK USAID not offered international scolarhsip for MBBS. PAK USAID only offered scholarship in public medical colleges. hi.My name is saleem ullah.I have passed the f.s.c exams with 56% marks.But i,belong to a poor family.I do not offered university fee and if i arrange no government university do not give me admission in them.so kindly help me.my mobile no. is 03464100449. PAK USAID only offered in Government Universities. AOA sir i have complete BS in statistics recently. further I wanna take admission in COMSATS Islamabad can I take US AID scholarship.Because I can’t afford university fee. University offered need base scholarship for the applicants. Final list will be issued by the institute. dear sir, i’m studing in b.com part 2..thn i wana do [ M.B.A ] BUT i can not affort my educational expensee..it bcz tht i’m .only one person who can earn for my home..you have an any scholarship program for me …..pl rply me as soon as possible…..my contct n0;031-44031818……..
PAK USAID scholarship is only offered for Some Public Institute. Which is listed in the post. A.a sir i complete my fsc and i want to become a doctor can u plx help me how can i get this scholarship?? PAK USAID offered Scholarship for following institute. Currently PAK offered Scholarship. AOA….i have an humble request for PAK USAID ADMIN for my help. I am the student of PhD statistics from Riphah international university Islamabad ,but my university is not listed .i m studying on self finance which is really difficult for me..i got 78.48% in Mphil… i want to continue my studies please do me a favor. i shall be very thankful to you. PAK USAID only offered scholarship for the listed universities. You write application to Ripah University for scholarship. sir!i am the student of PMAS arid agriculture university rawalpandi in Bs(hon)3rd sem.i am from south waziristan.i am belongs to a poor family ,i cant maintain studies now.sir how i apply ?the university administration have told me that the date has expired now what i do? Dear, you will be wait for new Scholarship or apply for HEC Need Base Scholarship when announced. If you want to interested for USAID Scholarship then check the name of institute in which you study either it is affliated with Pak USAID Scholarship or not. If university is affliated then you to go to admission cell of the university and apply for Pak USAID Scholarship. Aoa,i am the student of International relations stdying at Lahore college for women university….. i want to say that HEC schoalrships are nt being favoured to the students the administraion says that forms are not available here….. i want your favour…… There should be the opportunities for the needy students……..
HEC offered scholarship for needy students. You need to contact to the admission cell of LCWU for scholarship. I passed my BSCS and I wanna take admission in COMSATS Islamabad can I take US AID scholarship.Because I can’t afford university fee. Dear, Comsats has offered his own scholarship which include need base scholarship and others. USAID Scholarship is not offered by Comsats. When you apply for admission in Comsats then university offered scholarship to the needy students. Yes, dear you get PAK USAID Scholarship. You will contact to admission cell of Mehran University Jamshoro then university will further guide you in detail regarding admissions. my name is hafiz burhan . I want to say that either affiliated university is enable to award USAID scholarship . like nfc is affiliated with uet lahore . UET Lahore is not listed in PAK USAID Scholarship. NFC Student not get scholarship through Pak USAID. So, you will get scholarship through HEC Need Base Scholarship. I had passed my intermediate with i.com..
Due to financial crises i can’t afford my uni expense now .. I want to do ICMA OR ACCA can USAID support me for it so i could get admission thr?? HEC not support ICMA for ACCA. List of institute will be mentioned in the post. Hy sir,i have completed my f.sc with good marks,nd I want to become doctor,plz guide me sir how I got scholar ship,i can’t afford to get admission in medical collage’plz help me sir…..
Dear, Noor if you study in Public Medical College which is mentioned in the list of the post then you will apply for Pak-USAID Scholarship. SIR there is an open merit or not? Scholarship should be provide according to merit base. Yes, there is scholarship for Students who study in Public Medical College which is list down in list. Those medical college which is mentioned in the list offered Pak USAID Scholarship. Dear, Haris Pak USAID Scholarship will be offered to the needy student. Last date of Registration for PakUSAID Scholarship is 19 Octo. You need to visit your admission cell for further information regarding scholarship. You also apply for HEC need base scholarship. So, get information regarding need base scholarship and Pak USAID Scholarship from Admission Cell of PU. No, Pak USAID not offered scholarship in Bahri University Medical College. Can i apply for the same scholarship for the MBBS or BDS course? Then what’s the procedure & is their any other scholarship that i can apply for which could help me in completing my further studies?? Yes, you will get Pak USAID Scholarship if you get admission in those institutes which is approved by HEC for only USAID Scholarship. All are public institutes. Yes, there is Pak-USAID scholarship offered in PMC for BDS Program. You will regularly check the UHS Website for Pak USAID scholarship date. University offered many scholarship to the needy student. Comsats University will offered HEC Need Base Scholarship so you will apply for this schoalarship when you get admissions. List of affiliated universities will be mentioned in the post which offered Pak-USAID Scholarship. But you need to apply in Public University for further study to get scholarship from HEC. Sir, I am doing graduation in electronics engineering in UET Taxila and is in the need of scholarship to continue my studies…….. Can I apply? Yes, there is scholarship offered by HEC. You will get information regarding HEC Need Base Scholarship from Admission Cell. If you want to apply for Pak USAID Scholarship then you can study in universities which is list down in the post. PAK USAID Scholarship will be offered for these institutions. Sir, I am doing bachleour in software engineering from University of Karachi and is in the need of scholarship to continue my studies…….. Can I apply? Pak-USAID Scholarship only offered to those universities which is listed in the post. PAK USAID offered scholarship to the students of those institutes which is listed in the post. If you will studied from one these institutions then you will get scholarships. First you check your firend studied in which university because Pak USAID Scholarship only offered to those universities which are listed with PAK USAID. Finally, check your university from list if found than contact to admission cell office of this university than you get PAK USAID Fully funded scholarship. Dear, Sajjad you apply for HEC Need Base Scholarship through your university. Please contact to admission cell of UOS for avial this scholarship. You need to apply for Pak USAID Scholarship when announced. Stay yourself regulary updated with PAK USAID Scholarship. Secondly, contact to student affairs department of HEC. PAK-USAID Scholarship offering in Public Sector Universities. You need to get admission in Public Sector Universities than apply for PAK-USAID Scholarship. Can We get schoolarship for the sub campus of the universty???? You need to contact with Admission Cell of Main Campus of the university. I want to take admission in M.B.A but i can not afford expresses. So i need scholarship for completing my desired.Please guide me how can i get this opportunity. 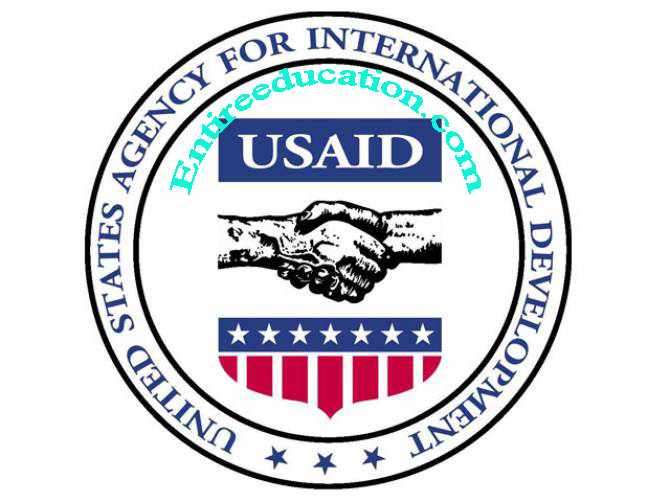 how i can fill uet usaid form online? hello sir, i need scholarship for my sister..she has done with intermediate nw.. but she wants to continue her studies in architecture field..however we have some affordability issues..let me knw, would u like to help us by providing scholarships? what is the last date to apply for that?